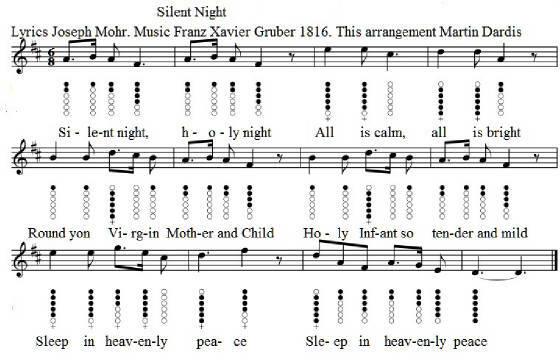 Silent Night Tin Whistle Sheet Music, key of D' whistle. A traditional Christmas hymme and one of the more popular and easy tunes to learn. Tip- there are three notes to the word Silent and three notes also to the word Holy. So you play it like Si-le-nt and for holy it's Ho-o-ly. Letter notes included.